During the winter months, it is important for golf clubs to make an additional effort to attract and maintain members. Generating revenue during this time can be more challenging, but can be done by using the right marketing schemes and rewarding your loyal members. You can easily transform your club to cater for different niches by rearranging the club furniture and adding some decorations. It may sound simple, but even small changes can have a big impact on your revenue and are worth the effort during the colder months. 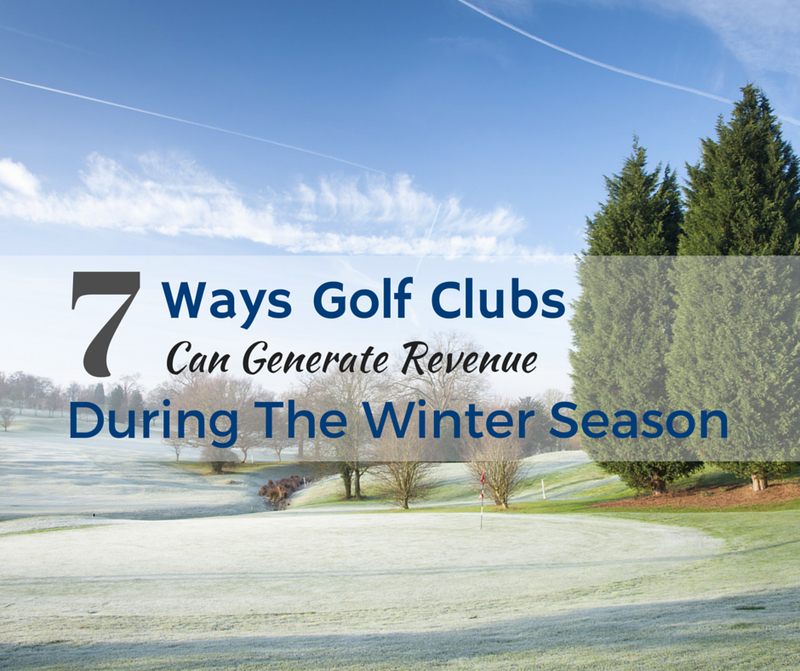 Here are 7 ways for golf clubs to generate revenue during the winter season. In order to attract more people to your club during the winter months, you need to start thinking outside the box. That means bringing in visitors that aren’t going to be coming to your club simply for the golf. You can do this by developing specific programs to target certain niches. Introducing fitness programs that your members can pay for on a pay-as-you-go basis offer them the perfect chance to try out a new fitness program without the long-term commitment. Professionals are always looking to get fit, but tend to be very busy, so being able to fit their fitness regime around their schedule will make them more likely to buy into it. This also targets regular golfers in your club who will need the added fitness routine once they lessen their time on the greens during winter. Whether you host prom parties, bridal registries, baby showers or anniversary celebrations, there are plenty of opportunities to gain additional revenue for your club no matter what the season. Develop specific programs that accommodate the different niches and tailor your club to meet their needs. This could include things like buying commercial furniture that can be used for specific events, simply buying additional club chairs, or changing the layout of your club furniture for each event. Marketing your club to beginners is completely different to marketing to experienced golfers. This is especially true to children and teenagers. They require a different tactic and trainers who can go through the basics step by step. By putting emphasis on families, you will be much more likely to attract the whole family rather than just one member. The more members you have in one family, the more reason they will have to stay with the club all year round. As well as bringing in new customers, you also want to make sure you reward your existing members. This will help to keep them happy and more likely to stay on with the club even when the temperatures start to drop. These days, repeat patronage should be encouraged. You can grow your revenue line by encouraging members in bringing their guests along by providing services they can enjoy. If members can bring their friends, they will be much more inclined to visit the club for the social aspect, whether it’s on or off the golf course. You can reward loyal members by offering them personalised membership options. You can base this depending on the services the member wishes to use, certain advantages that are included, or other options specific to your club. If they feel they are getting personalised service and good value for money, they will be happy to be part of your club for the additional services. Don’t forget to promote your club’s goods and services using marketing tactics. Stay on top of the trends and make sure you use the most effective and up to date methods. This is vital during quieter times of the year when you want to encourage business. Shared memberships can be a great way of bringing in new members and keeping existing members on. This is particularly the case during the winter season when some members might be looking to resign. Running online contests on social media platforms are great for spreading the word about your club. You can run these on a monthly basis, changing the prizes each time. Get people to enter by liking your page or sharing the post in order to increase visibility. Give people a reason to want to visit your club, no matter the weather. Get your club ready for the winter season! Now is the best time to upgrade your club furniture because your club members will be spending more time inside your facility once the temperatures drop. Our professional team will happily discuss any requirements for your golf club. Just head over to our Products page to know more and request a free quote – thanks to our huge stocks, we can organise an immediate dispatch and have those quickly delivered to your club!